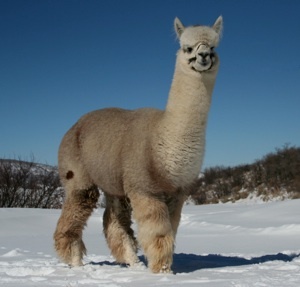 Ninni's sire, half-Peruvian son of the great black and grey producing line, The Silversmith, Silver Dollar has crimp, luster and a fine, fine handle to his low micron fleece. He has produced many rose and silver greys when bred to grey with fine fleeces (microns of 17-19) as well as award winning black cria. 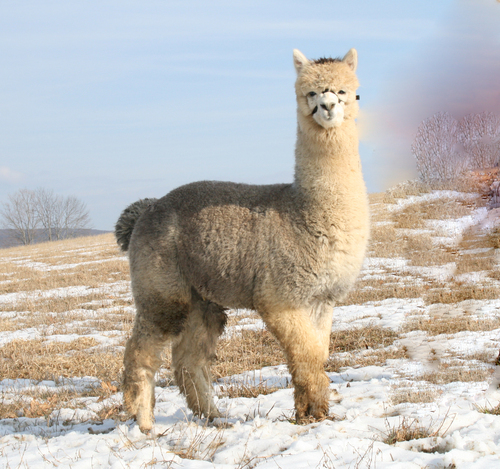 He adds density, luster, crimp and handle to his cria and his coverage, which is superb. Ninni is a sweet girl, excellent mom who produces stunning looking cria. Ninni's first cria, MB Adelina, carries an extremely dense and soft handling fleece,this rose grey girl is proof of what Ninni can do. Sweet disposition, excellent conformation with good coverage. Would be an excellent addition to your herd. Full color pedigree. Ninni delivered a stunning LRG male, perfect conformation covered with bright bundling fiber. 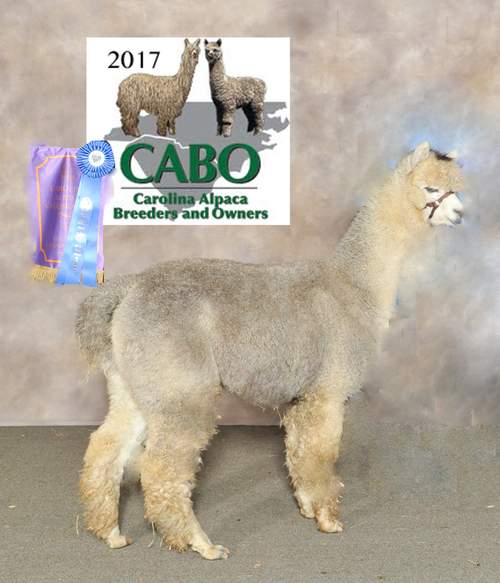 Ninni's 2015 cria, sired by .38 Special is a stunning MSG Tuxedo male. Mercury has had that eye catching quality from the moment he hit the ground. 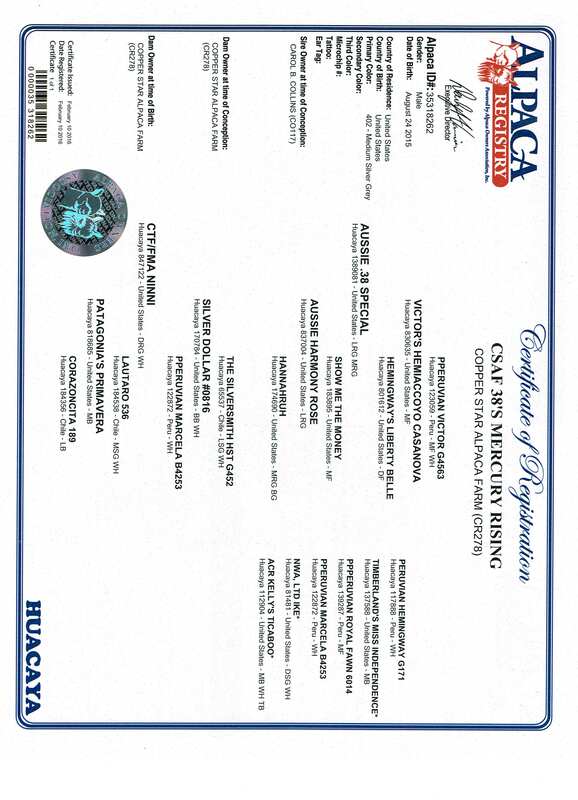 CSAF .38’s Mercury Rising is an outstanding, medium silver grey male. Mercury stands upright on a strong boned, well balanced frame. His blanket is consistent in color, density, and handle showing a high amplitude crimp architecture with excellent staple length and coverage. 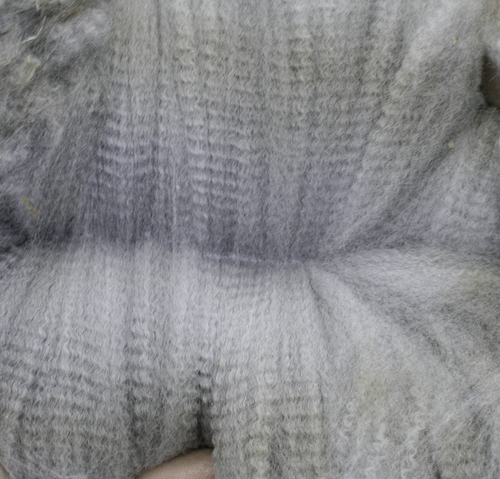 He produces a beautiful fleece with excellent commercial value for color consistency and volume. This young male gets better and better, we are very pleased with this genetic crossing and believe his best is yet to come. He possesses all the qualities of an outstanding future herdsire, including a gentle temperament. Sired by Aussie .38 Special, he stands among a very solid and proven genetic pool. Color is deep on both sides of his pedigree making him an excellent addition to any color or grey breeding program. 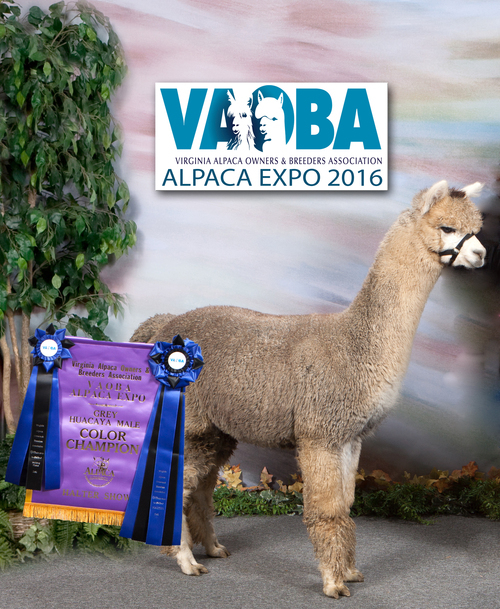 After Mercury's double champion winning weekend at the North American Alpaca Alpaca Show and the Northeast Alpaca Exposition, he is on to his next career as a herdsire. Mercury's offspring have arrived and they are amazing in crimp architecture, density, conformation and uniformity of color. August 2018, Mercury's first cria arrives to Small Paws Farm, a beautiful MSG female! Proudly co-owned with Tartan Acres, LLC.